The Statistics Canada Mental Health Passport—encouraging habits that foster well-being and better mental health! This year, the World Health Organization’s theme for World Health Day on April 7, 2017, was Depression: Let’s Talk, a topic Statistics Canada has long supported in breaking the silence and stigmatization around mental illness. In anticipation of this important milestone, the agency’s Mental Health Working Group and the Workplace Wellness Committee launched the second edition of their award-winning Mental Health Passport with a fresh new look, and an updated list of readily-available resources. 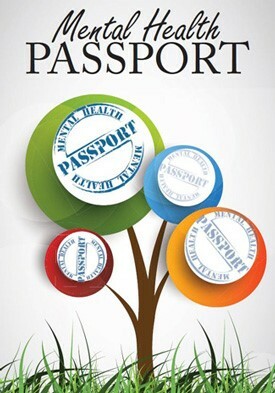 The first edition of this passport was conceived, written and produced by the Mental Health Working Group to raise awareness of mental health issues and to provide practical tools to help employees develop, maintain or improve on their healthy and positive lifestyles. It was originally launched in February 2012. In recognition of its success, the group was awarded the Michelle C. Comeau Human Resources Award for 2012. The passport has since been shared across the federal government. The newest edition presents articles on more than 20 topics that health care professionals have found influence people’s health and happiness. It also offers information and tools to help employees identify and reflect on areas such as sleep, exercise, work-life balance, and more. While the passport is currently available for pick-up at Statistics Canada’s self-serve Wellness Corner, it has also been re-formatted and shared with various other federal departments. Statistics Canada recognizes that mental health is a vital resource for healthy living, and will continue to promote and foster best practices for its employees who are the very core of excellence at the agency.